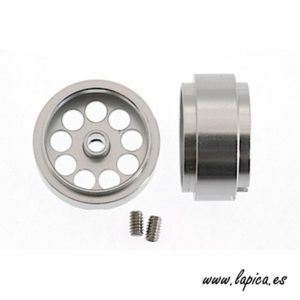 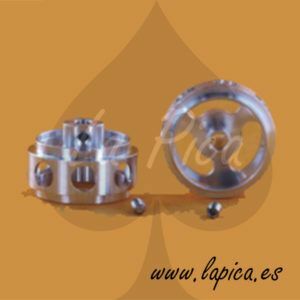 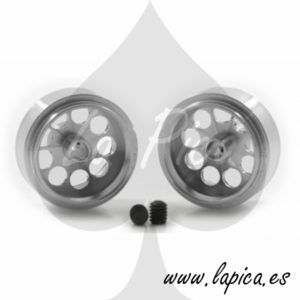 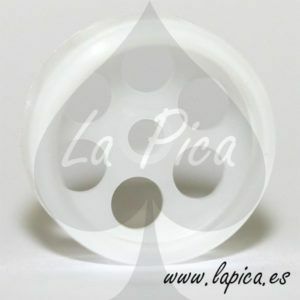 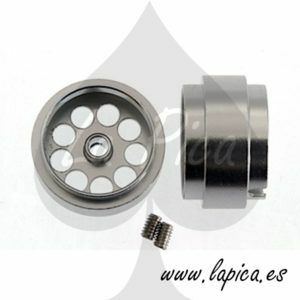 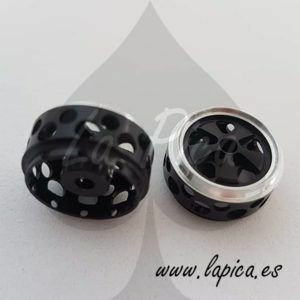 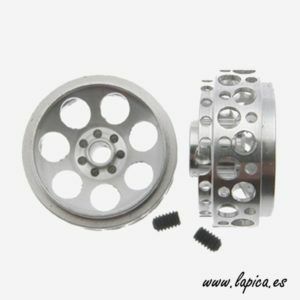 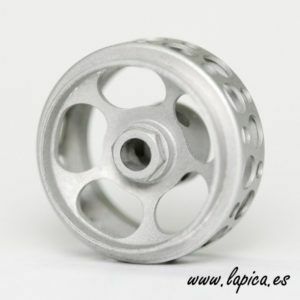 Llanta Aluminio 15.8×8.5mm. 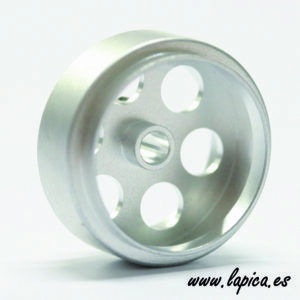 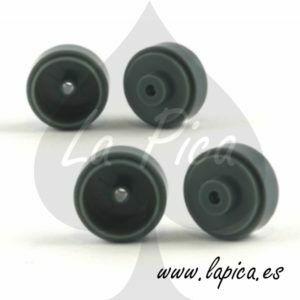 Lightweight para Ejes 2,38mm. 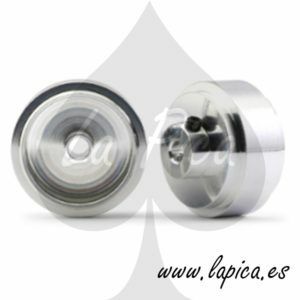 Tornillo M2,5. 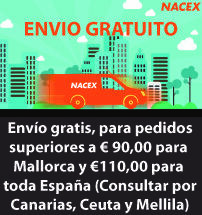 Peso 1,1gr.